The Reedy Creek School District was organized formally in May 1919 from school land partially partitioned from the Griffiths School District and Elkwood School District, with a one-room schoolhouse operated at SW28-20-11W in the Rural Municipality of Alonsa. The building, which measured 20 feet by 32 feet, was designed by architect E. D. Tuttle and cost $3,600 to complete. 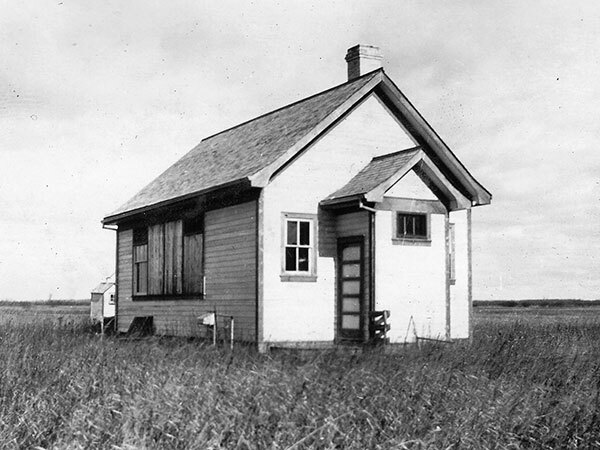 It was slated to open around August 1920 and operated until 1936 when the schoolhouse was moved to Alonsa where it became the high school for Alonsa School. Its catchment area then briefly became part of the Glenella School District for about two years before realignment into Alonsa School District in April 1938. Among the teachers of Reedy Creek School were Margaret Hunter (1922) and Mary Ruth Hartford (1926-1927). GR8461, A0233, C131-3, page 72. School division and school district formation files (E 0027), Reedy Creek School District No. 1983, Archives of Manitoba. Departmentally appointed school trustee files (E 0034), Reedy Creek School District No. 1983 - Cash Book, GR1629, Archives of Manitoba. Departmentally appointed school trustee files (E 0034), Reedy Creek School District No. 1983 - Miscellaneous, GR1629, Archives of Manitoba. Departmentally appointed school trustee files (E 0034), Alonsa School District No. 1920, GR1630, Archives of Manitoba. Manitoba School Records Collection, Reedy Creek School District No. 1983 Daily Registers, GR2064, Archives of Manitoba. We thank Darryl Toews for providing additional information used here.